SAN PEDRO, LOS ANGELES (KABC) -- The re-opening of the Channel Street Skatepark is two years behind schedule. 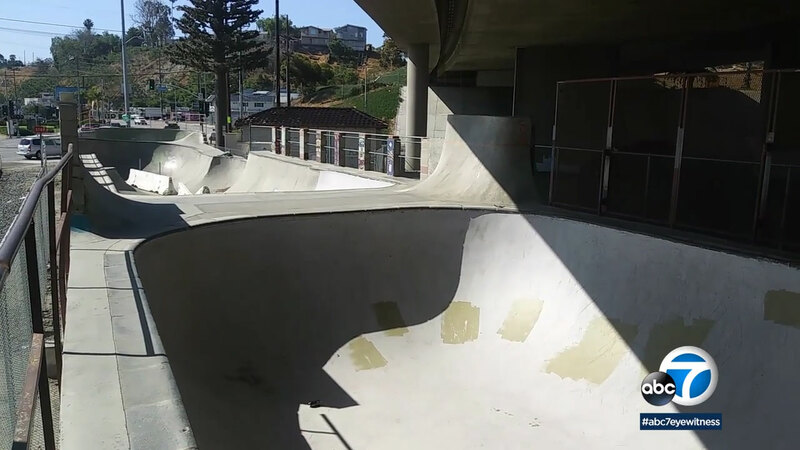 The iconic San Pedro skate park was closed in 2014 to make way for a freeway widening project. It was scheduled to go through a makeover and be finished mid-2016, but it sits vacant and deteriorated. In 2002, skateboarding enthusiasts built the skate park without a permit. They chose a spot underneath the 110 Freeway overpass, next to a park-and-ride lot at Channel and Gaffey streets. The underground skate park quickly became a favorite destination for skateboarders from both California and across the United States. Now closed for four years, the park has become a destination for the homeless. The city says the delays are due to new plans being drawn up to make the park safe and legal. The freeway widening project was completed last year, but the iconic skate park remains shuttered and no opening date is set.